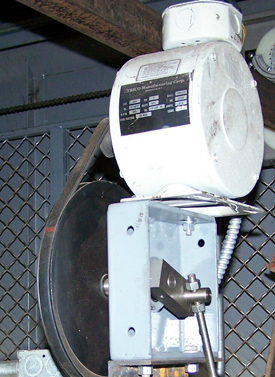 Retiring Cams are designed to work with freight elevator door interlocks. TRICO carries a complete line of retiring cams that are easy to install and are specially designed to offer maintenance free, long life. The retiring cam is mounted on the car, there is a connecting rod from the cam face to the retiring cam motor. The retiring cam motor is mounted above the car, and the cam face is mounted on the side of the car. Trico also offers moisture resistant retiring cam motors. TRICO is the only company you need for quality, reliability and price on retiring cams for freight elevator door interlocks. Contact us at (718) 349-6565, download our brochure, or e-mail us at orders@freightelevatordoors.com for more information. Our knowledgeable sales professionals are ready to assist you with any questions you may have concerning retiring cams or any of our other products.